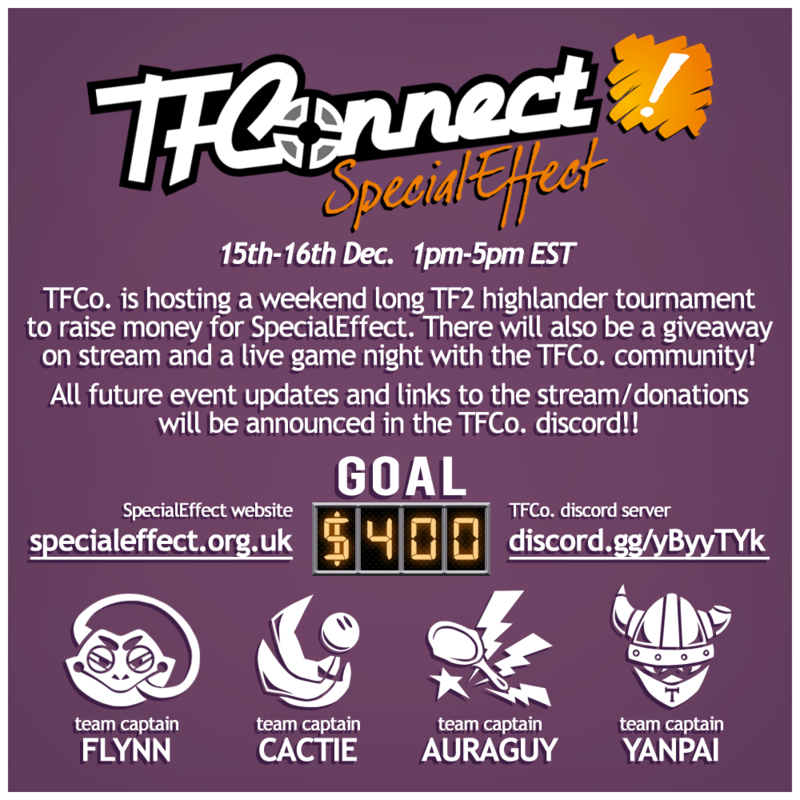 On the 15th and 16th of December from 1:00 - 5:00 pm EST, TFConnect is hosting a Highlander tournament to raise money for SpecialEffect! During the event, they'll also have item giveaways and a live game night with the community! The event will be streamed live on Byte's Twitch channel, and donations to SpecialEffect will be received through their Justgiving page. Get more information here!